Everyone who has spent some time in Perth knows we have some of the best weather in the country, and it’s now official! 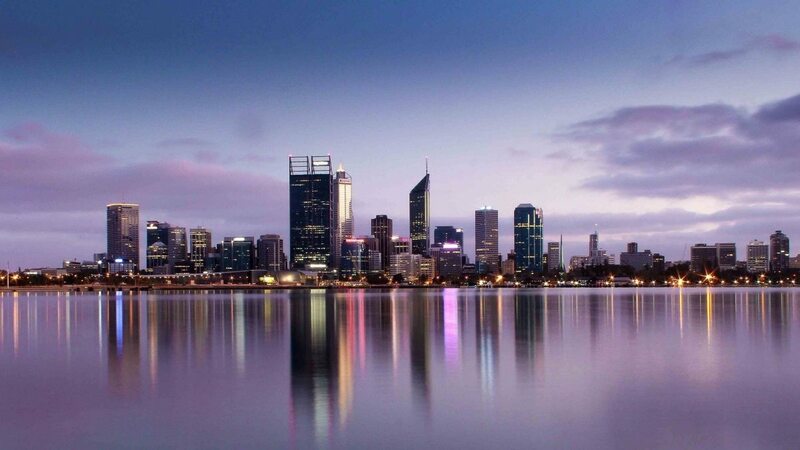 The Bureau of Meteorology announced in May 2017 that Perth is the sunniest Australian capital, with a long-term average of 8.8 hours of sunshine per day. It’s no wonder that there are so many superb examples of landscaping in and around the metro area, helping locals and visitors to enjoy the great outdoors. These can be fantastic places to draw inspiration for your own home or business landscaping, as can be seen from the below examples of Kings Park, City Beach and Brookfield Place. 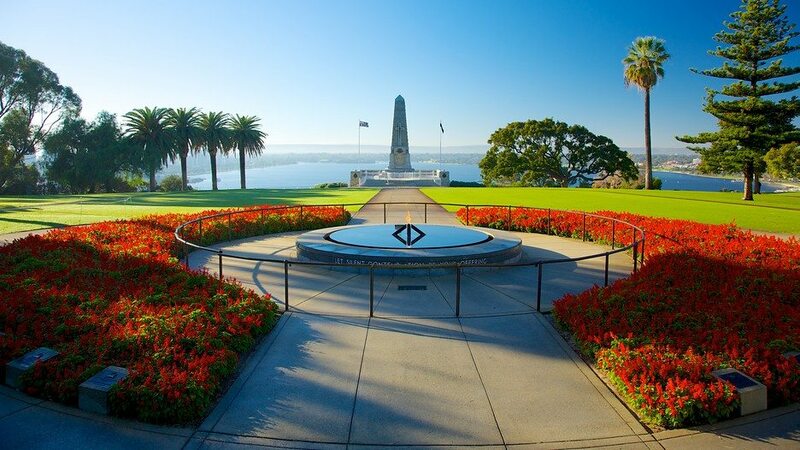 The iconic Kings Park and Botanic Garden is the largest inner city park in the world, and it attracts both and tourists and locals in droves. It really has something for everyone – There’s lush green grass to relax on, trails to explore, places for the kids to play and learning experiences, including the conservation garden which houses some of Western Australia’s endangered plants. From a landscaping perspective, perhaps the best tip we can take from this beautiful space is that low maintenance, water saving natives can be used to effectively to make striking, colourful gardens. If you’re looking inspiration for native plants to use in your garden beds at home, Kings Park is a great place to go. There are few things more West Australian than watching the sun set over the ocean, and the new City Beach redevelopment, completed in 2015, offers the perfect place to do so. In addition to the restaurants, there are green public spaces to relax in and a lookout platform offering uninterrupted views of the ocean. The outdoor landscaping around the new local businesses and the public use areas is a great example of how natural stone, such as limestone, can so seamlessly blend with the natural environment. They’ve also utilised exposed aggregate on many of the pathways due to its durable, non-slip nature, and this is another tip you can utilise in your home landscaping, particularly in the wet areas around your pool. Moving from the coast to the heart of the city, the civic space surrounding the Brookfield Place office tower is a modern, sleek outdoor landscape. This is also a relatively new addition to Perth, completed in 2012. The vibrant public precinct surrounding this award winning complex features dining, small bars, retail outlets, and specialty shops. Here we can see the great creative use of pavers, with a mixture of sizes and some contrasting colour inlays used to break up the monotony of a large paved area. Vibrant green hedge bushes, interspersed with taller trees border one of the main thoroughfares, giving a natural elementthat contrasts perfectly with the dark pavers and sleek glass and steel building. 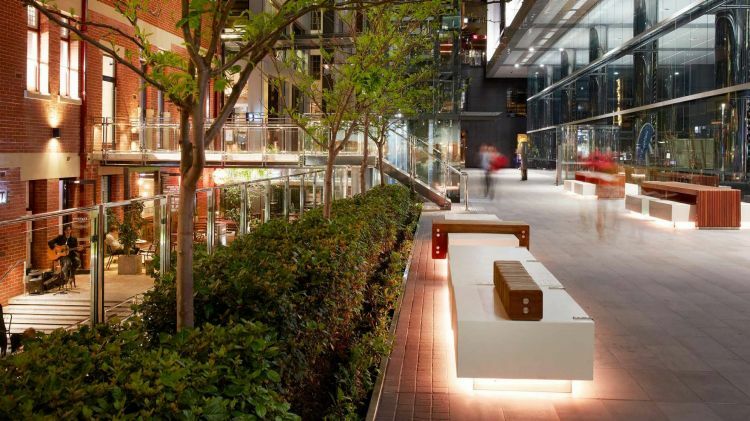 If you have a modern house or business frontage and would like to add some contrast to your landscaping, Brookfield Plaza precinct is somewhere to look for inspiration. Here in WA, we all love spending time in the great outdoors. 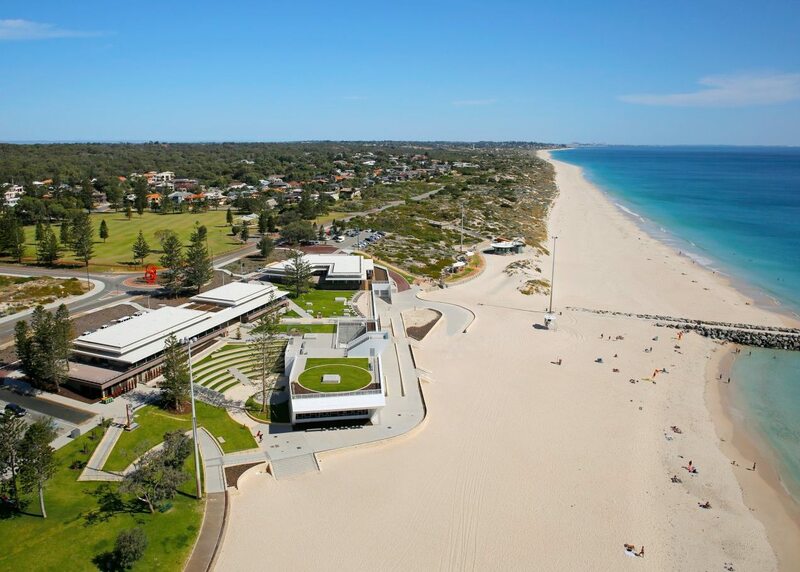 Taking notice of the landscaping design in public spaces, such as the above-mentioned Kings Park, City Beach and Brookfield Place, is a great way to get ideas for our own home or business landscaping. Next time you’re out and about and you see a garden bed that catches your eye, a stone pathway that you’re particularly drawn to, or a fantastic example of an outdoor sitting area, take a photo or make a note to help inspire your home landscaping project. Taking inspiration and ideas for your outdoor living areas and turning them into reality isn’t always easy, but thankfully there are experts that you can ask for help. WA Luxury Landscaping has over 10 years’ experience in delivering customer-focused landscaping services, and they can handle your whole project, from the design, right through to installation. To talk about how to turn your landscaping ideas into reality, contact Killian and his friendly team at WA Luxury Landscaping today.